A Guitar Teacher in Glasgow (or anywhere) for children should offer several set-in-stone guarantees. In lessons we play together, not just ‘okay, now you’! This article will discuss the tutors you should consider hiring, firing and avoiding! 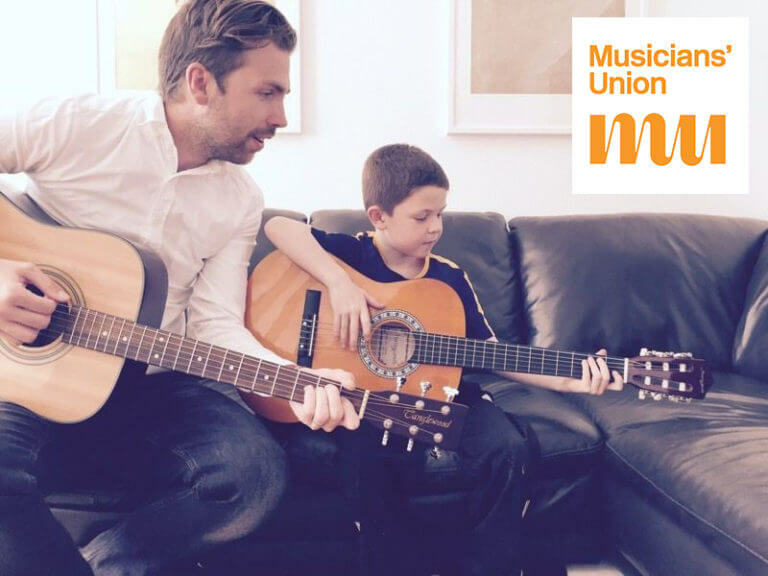 The tutor you choose will be the major factor in the path your kid’s musical future – so be sure to make the right choice. If a local, busy tutor – do they teach any other children at your child’s school? Young, but not too young! Someone your kid thinks is cool! Instantly avoid any tutor who offers ‘cheap’ lessons, lots of ‘deals’ and charges to-good-to-be-true low prices. To gain the knowledge and expertise to master an instrument, develop the skills to teach and build a reputation around a quality business takes many, many years to obtain and make a living from – therefore any quality tutor will sell their product at a price which reflects this. While lessons should never be unnecessarily expensive, they should never EVER be cheap! The first lesson should ALWAYS be FREE! If they don’t offer a no-obligation, free first lesson – walk away. The best tutors should be confident in their abilities and happy to have you put them to the test. Plus, as they don’t know what they’ll be teaching you as they’ve never met you (the lesson will have no plan), it would be wrong to charge. Passion, a good attitude and loves to teach! Thankfully, I consider myself to have all of these traits/abilities/qualifications – so get in touch today to discuss booking a slot for your wee one!